Rialto Water Services provides water and wastewater services to 100,000 people in the Inland Empire. In 2012, the City of Rialto agreed to a 30-year concession agreement to accelerate delivery of much-needed capital improvement projects, turn over management the water systems to a company with a long and successful history of operating utilities and municipal systems, and to implement efficiency improvements without adding financial risk to the city. This progressive and innovative public-private partnership enables Rialto Water Services, along with its partners, to deliver more than $41 million in capital improvements within a five-year period. Under the RWS concession, the City retains full ownership of water and wastewater systems, retains all water rights and supply, and possesses the rate-setting authority associated with the facilities. RWS provides financial backing, oversight and concession services for the life of the agreement, while Veolia North America delivers all water and wastewater services, including billing and customer service, and oversees a $41M capital improvement program to upgrade aging facilities. This long-planned upgrade to the infrastructure introduces cost and energy efficiencies for the City, seismic retrofits, improved water supply and wastewater capacity, and brings hundreds of construction jobs to the local economy. Many RWS and Veolia employees are the same people who have been with the water or wastewater departments for years, and all of us are benefiting from this wealth of experience. 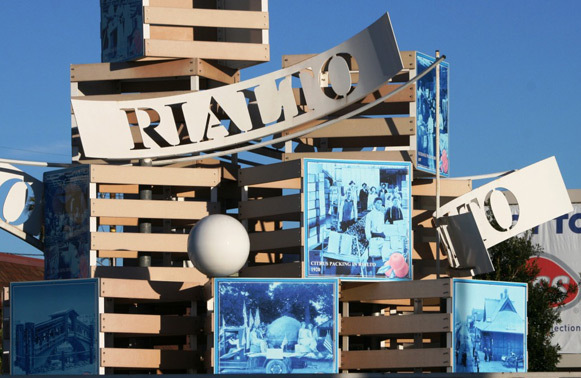 Many of our employees are Rialto residents, so they have their own personal commitment to ensure we deliver quality service and our system is in tip-top shape. We are glad to have such a great team of individuals who care deeply about operating a Reliable and efficient water and sewer system. In 2012, the City of Rialto agreed to a 30-year concession agreement to accelerate delivery of much-needed capital improvement projects, turn over management the water systems to a company with a long and successful history of operating utilities and municipal systems, and to implement efficiency improvements without adding financial risk to the city. This progressive and innovative public-private partnership enables Rialto Water Services, along with its partners, to deliver more than $41 million in capital improvements within a five-year period. The mission of Rialto Water Services is to provide quality water and wastewater treatment at a reasonable price to City residents. Rialto Water Services is embarking on millions of dollars in repairs, improvements and enhancements in the water and wastewater system to ensure residents benefit from reliable service for decades to come.